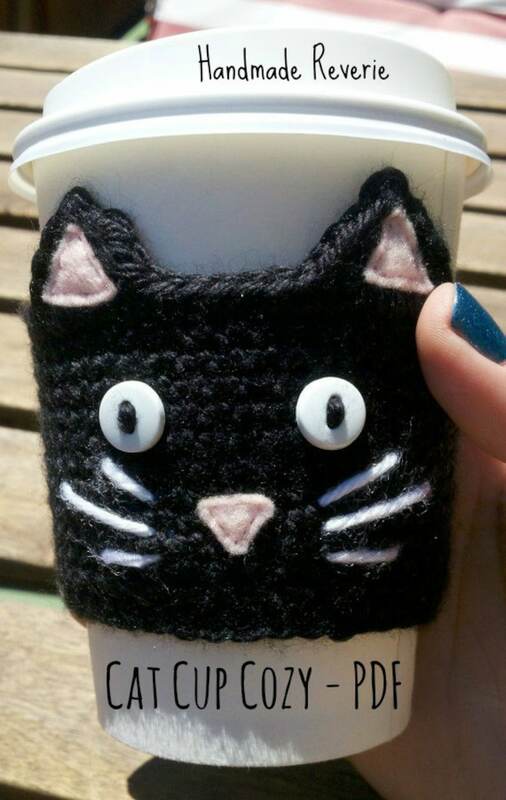 The finished project is a super cute re-useable cat cup cozy. Great way to keep from burning your hands on your hot drink or even keep your hands dry from the condensation on your iced drinks. So handy, just keep it in your purse for your morning coffee or tea. Completed cozy should fit most to go cups and even plastic tumblers. Love this pattern, my customers are very happy with these! Very easy to follow, guys the coffee cup perfectly!! Thank you! !